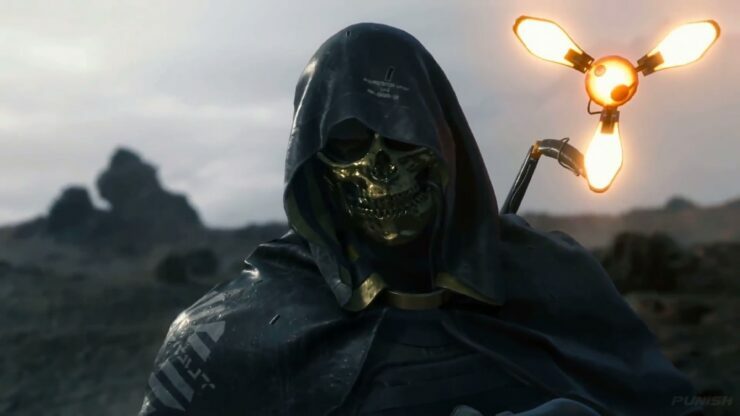 We still haven’t seen much of Hideo Kojima’s Death Stranding, but it seems like development is proceeding smoothly, as the legendary game developer has started showing its upcoming game to other developers in recent times. Among them, is Remedy Entertainment’s Sam Lake. The director of Alan Wake, Max Payne and Quantum Break shared his thoughts on Death Stranding on Twitter, mentioning how the game and Hideo Kojima are pushing boundaries. It’s likely that Sam Lake has been shown the same demo shown last week to Hermen Hulst, Guerrilla Games co-founder. Death Stranding has yet to receive a release date, but it’s being rumored that the game will finally release this year. Actor Norman Reedus, who plays Sam in the game, revealed in a podcast late last year that Death Stranding may release in the first few months of 2019, and that there may be sequels. A recent listing on Best Buy also seems to suggest a 2019 release date for Hideo Kojima’s highly anticipated game. Death Stranding is currently in development for PlayStation 4. We will keep you updated on the game and its release date as soon as more come in on it, so stay tuned for all the latest news.